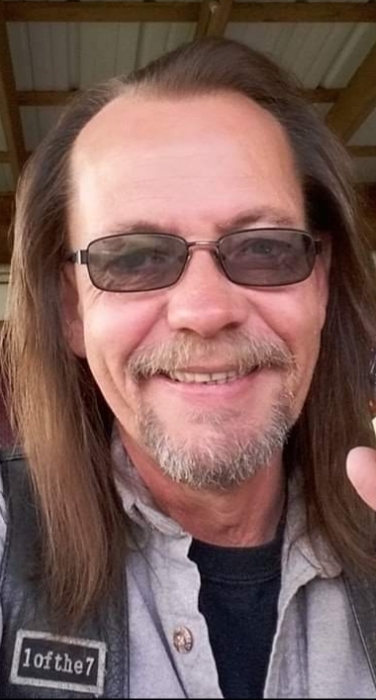 Kyle Robert Wetzel, 52, of American Falls, ID passed away on February 16, 2019 in Spokane, WA after a short, but courageous battle with cancer. Kyle was born April 10, 1966 in American Falls. His parents are Robert (Marilyn) Wetzel of American Falls, and Terisa (Randy) Hobbs of Spokane, WA. He was welcomed home by an older brother, Rob. Kyle married his sweetheart, Debbie Peterson, in November of 1983, in American Falls, where they called home for many years. On April 3, 1984 they were blessed with a beautiful daughter, Brittni, who was their pride and joy. Kyle then joined the United States Army in 1986, where he was stationed in Munster, Germany until 1988 when he was honorably discharged and moved back to his home town of American Falls. Kyle is survived by his parents, Robert and Marilyn Wetzel of American Falls and Terisa and Randy Hobbs of Spokane, WA. Daughter, Brittni (Charles) Jones of American Falls. Siblings, Rob Wetzel (Michael Carter) of Boise, Michelle (Christopher) Ramey of Spokane, WA and Chad (Robyn) Pulliam of Spokane, WA. Granddaughter, Brylee Jones. Nephews, Carter, Colyn, Logan, Tucker, and Ransom and niece Michaela. Along with numerous Aunts and Uncles. Kyle is proceeded in death by his grandparents. A visitation will be held Saturday, March 30, 2019 from 11:00 a.m. to 12:30 p.m. at Davis Rose Mortuary, followed by a service with military honors at 1:00 p.m. at Falls View Cemetery; after which we will be having a Celebration of Life from 2:00-5:00 p.m. at the American Falls Roland Evans Post #3 Legion Hall.